Sand Under My Feet: Poblacion Hunt: As Easter Egg Event For Grown-Ups! Alchemy Bistro Bar, Encima Roofdeck Bar and Firefly Roodeck, will giveaway awesome prizes. 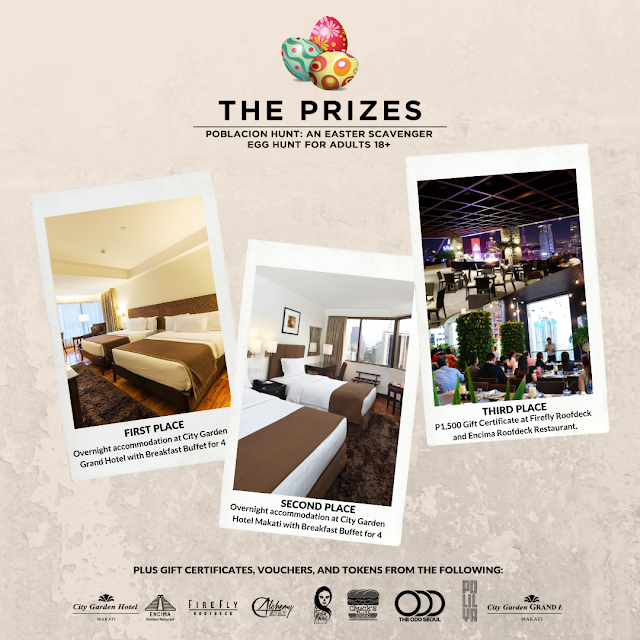 The first and second place winners of the game will receive Deluxe Room accommodation completewith breakfast buffet for four persons from City Garden GRAND Hotel and City Garden Hotel Makati plus exclusive gift items from the restaurant partners of the game. 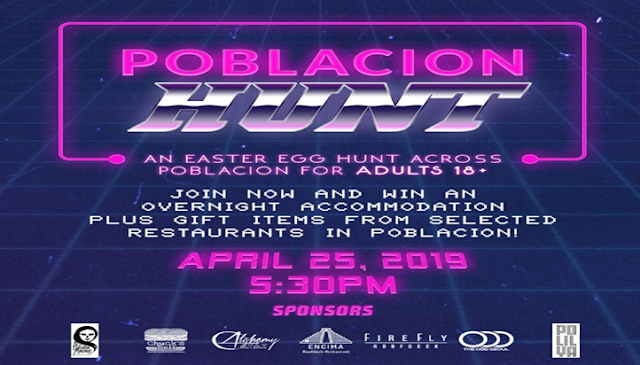 Meanwhile for the third place, food and beverage gift certificates will be given from Firefly Roofdeck and EnicmaRoofdeck Bar plus gift items from the restaurant partners. In addition to the major prizes, special awards will also be given to those teams who excels and showcase great effort in the game. 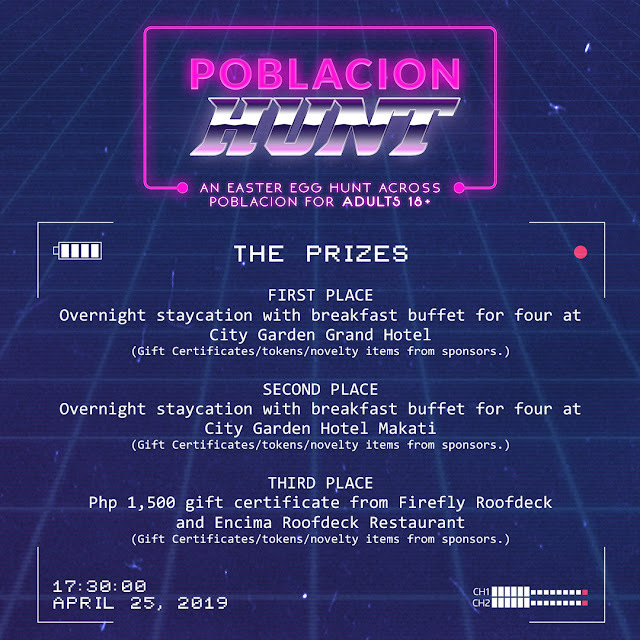 City Garden Hotels invites every grown-up to join the Poblacion Hunt event. Registration fee is only PHP 3,000 per team of four. A survival kit will be provided to each team which includes notepad, 2 pens, Brgy. Poblacion map, and gift items from selected restaurants around Brgy. Poblacion. Join and register now! 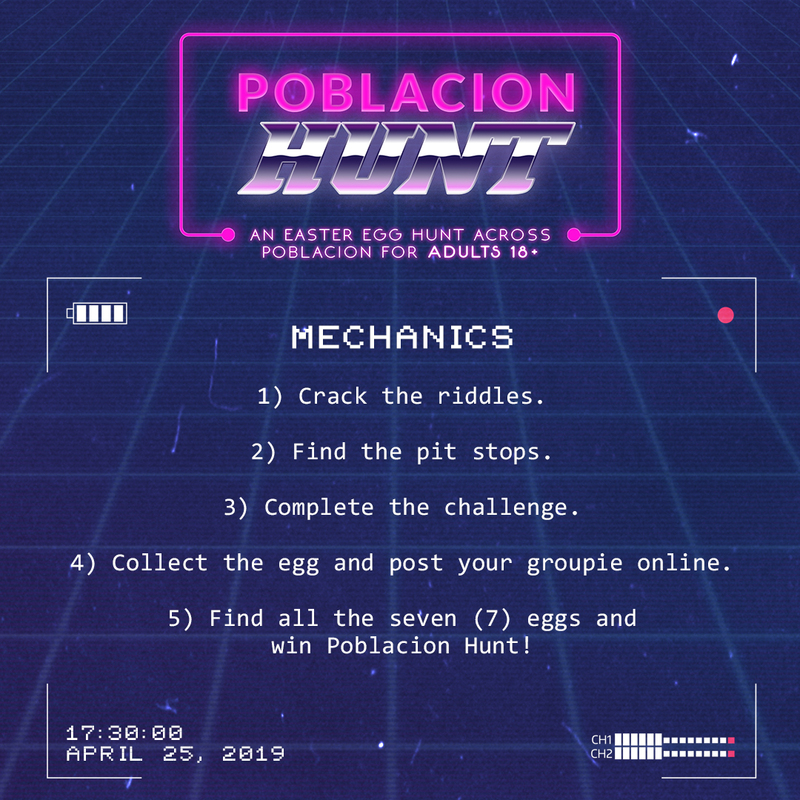 Only the first 10 teams to send their registration and pay for the registration fees are qualified to join the egg hunt. 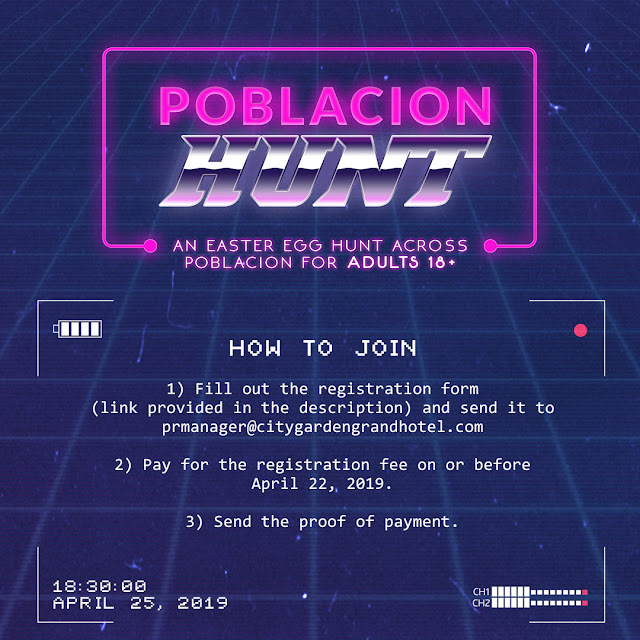 Deadline of registration is on April 15, 2019. 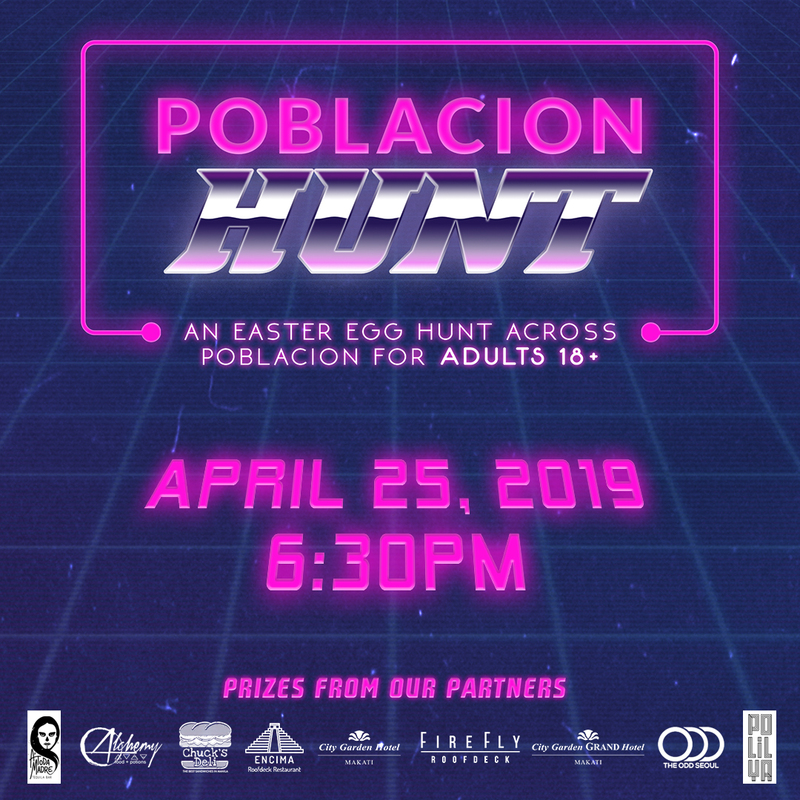 The Poblacion Hunt is on April 25, 2019, 5:30 PM, at the Encima Roofdeck Bar, City Garden Hotel Makati. To register, feel free to email prmanager@citygardengrandhotel.com or cghm.marketing@gmail.com or call these nos. +632 917 708 0591, +632 945 714 865 and 02 553 3462.